Truly one of the great tragedies of modern Hollywood is that there is but one James Franco. Movies would be so much better if it were somehow possible—either with magic or computers—to put James Franco in every role. Thank Ma and Pa Franco, then, for gifting us with a smaller, slightly different-looking version of James: his brother, Dave. 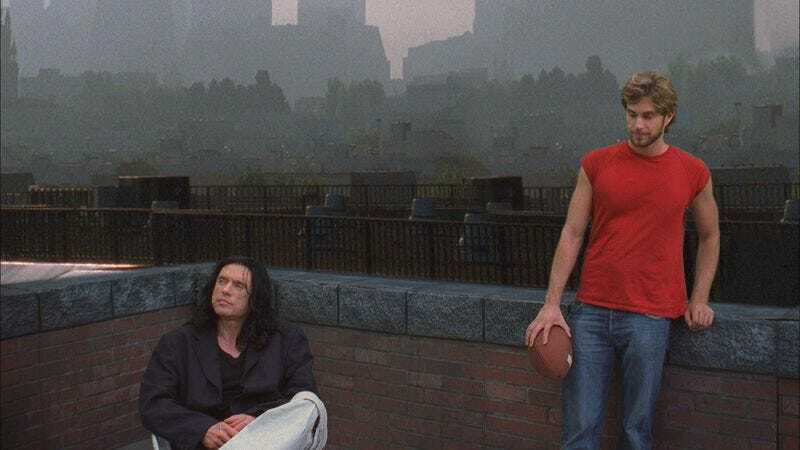 We previously reported that the older Franco had picked up the rights to film an adaptation of The Disaster Artist, Greg Sestero’s book about the making of The Room, with him playing Tommy Wiseau, that movie’s inexplicable star/director/mad man. Now, thanks to 3 News (via /Film), we know that the younger Franco will be starring as Sestero himself. Sestero, of course, played Mark in The Room, a movie that we keep referring to as “the worst ever” even though someone has to have made something worse by now. According to 3 News, Little Franco stood up during a Q&A session after a screening of The Room and asked Wiseau how he felt about him playing Sestero. After the crowd cheered the apparent announcement, Wiseau responded by saying it was a good choice—though he said it in the vaguely unusual way that only he can. 3 News also reports that Wiseau “didn’t seem totally into the idea” of Big Franco making a movie about The Disaster Artist, because, as he sees it, “about 50 percent of it” is accurate. For a movie about Tommy Wiseau, we’d say that’s probably good enough.